We are an extremely "picky" (in the sense of doing a good job) husband, wife and son carpet cleaning team. 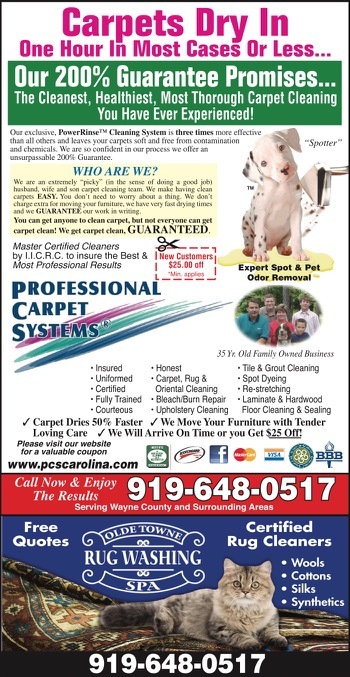 We make having clean carpets EASY. You don't need to worry about a thing. We don't charge extra for moving your furniture, we have very fast drying times and we GUARANTEE our work in writing!